The Amplified version of the Bible says that the Word of God, implanted and rooted in our hearts has the ability to save our souls. It is our hearts to which the Word of God must be sown. It is one thing for us to know the Word with our minds and with our intelligence but that is not the way in which we have been instructed. The Lord God is telling us that we must implant the Word into our hearts. Once we do, it has the power to heal our souls. God has not called us to an intellectual relationship with him. He has called us to intimacy through the communion of our hearts with His. Only then can we receive all that He has designed for us. Only then can we walk with him. Only then will we be able to really know him and his plan for our lives. He cannot minister to our deepest needs if he is consigned to our minds and our intellect. He wants to be close and intimate with each of us. When we open up our hearts to Him and to His word, then all the power of heaven comes to reside in our deepest being, leads us and save our souls. Yesterday’s Word of the Day encouraged us to put on the characteristics of God. Today’s Word has us putting off that which is not consistent with the nature of God. In each case we can only succeed through the power and grace of Jesus. When we fill up with Jesus then we have, within us, the power to put off the negative attributes and put on the glory. Jesus implanted in us is the key to our success. God is love, not thought. That means that He is not in our brains. This is a heart thing. I don’t like it any more than you do. I wish I could be very academic about this whole “God” thing but it is fruitless and Jesus told us to go and bear fruit. We need to have an experiential knowledge of God’s love. What does that mean? We must know this love in our hearts. We must experience it. You can study love with your vast intellect until you turn blue but you will never understand it until you allow it to penetrate your heart and you finally experience the fullness of love. 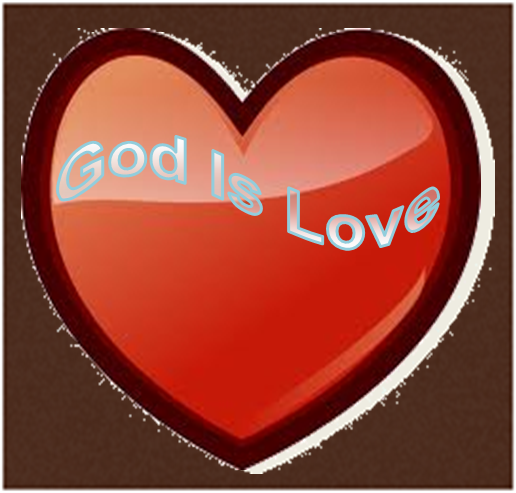 God is love so the only way you can ever experience Him is to let love reign supreme in your life. In order to do that, you have to let your heart play the leading role. It does not matter how smart we are. You may have a Mensa IQ but when it comes down to the bottom line that great intellect just won’t cut it. You don’t comprehend love with your mind. You can only have a true understanding of love when you let your heart take the lead. So if we are going to know God, if we are ever going to understand His unfathomable riches we are going to have to learn to hear Him with our hearts. We must learn to seek Him with our hearts rather than our minds and we must allow His Word to penetrate, not our thinking, but rather our feelings and our believing. Honestly, in order to be a true Christian we must engage our hearts. I want you to know that I cannot think of any more uncomfortable news to have to receive personally but I have heard so much about the heart lately that if Balaam’s donkey came up to me and brayed, “Heart,” I don’t think I would even be surprised. There is a reason that God has filled the environment with heart language. He is trying to reach us on the level where He can change our lives. Since God is love the only way we will ever come to know Him is to engage our hearts. Love is not of the mind and cannot be comprehended by the gray matter. It takes a beating heart pumping warm, red blood to receive love. Everything God says is love. Every answer you need is love. Therefore, in order for us to receive God, the love of God, blessings and answers we must allow our hearts to become places of openness and conversation. How do you do that? I don’t know yet. I am still working it out myself but I know that the more I allow my heart to live and to be free from the shackles of my mind, the more life and love God is able to pump into me. God is love. Love is a condition of the heart. If we want to know God then we are going to have to let Him speak to our hearts. It may be uncomfortable for some of us but we really are going to be so glad we opened up and let Him in. Be blessed! Have you ever thought that perhaps you are not the sharpest knife in the drawer? Well, today is your day. All those folks who think they are so wise and intelligent are eating your dust because God has chosen to reveal His great and mighty wonders to those who are not so impressed with their great intellect. Truth be told, our esteem for our brain power is a huge road block in hearing the voice of God. We can easily get so caught up in our minds and in our thoughts that the voice of God is hard to hear. We hear too much of ourselves to hear Him. The truly wise are those who have not enthroned their intellect on the shrine of their hearts and have instead learned how to have a sensitive, open heart because it is really with our hearts that we hear God. God has come and made His abode in our hearts so it is right there in our hearts that the secrets of God are going to be revealed. The learned of Jesus’ time had a hard time receiving the truth of Messiah. Even the Apostle Paul who had the right education and was scholarly almost missed the boat entirely. God had to arrest him with an extreme encounter to open his eyes. Paul was endeavoring to serve God with all his might as he persecuted and tortured Christians. He was zealous in his service to God even though he was so far off base. As long as he served God in his mind and his intellect, he fell far from the mark. Once God showed him that his mind needed to be renewed he came to understand that we serve God out of love overflowing from our hearts rather than our minds, our intellect or our education. Don’t get me wrong. I am all for education. Paul told Timothy to study to show himself approved (2 Timothy 2: 15). But we need to understand how minimal our intellect is in the grand scheme and realize that our hearts have much greater capacity than our brains. Look at Sister Teresa. I don’t know if she was ever acclaimed for her IQ but her heart and her devotion sure made an impression on the world. It was when the Apostle Paul fell in love with Jesus that he yielded his service and changed the course of human history. So, don’t be too impressed with your intellect. Rather let it serve you as you study God’s Word. God is all too happy to reveal His great mysteries to you as you yield yourself to Him. You don’t have to reason out the great mysteries of life. You don’t have to figure out everything. God will just show you if you will let Him.